While reading this book, someone said to me, “in a hundred years, McCarthy will be the Hemingway of today.” I believe it. 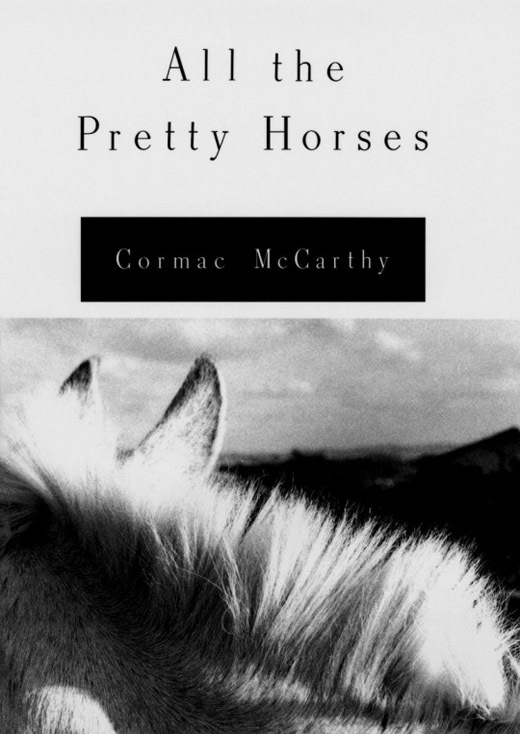 All The Pretty Horses is not McCarthy‘s most widely-read novel (see The Road for that), but its unbridled descriptive power and beautifully structured prose make it fascinating. You could spend hours dissecting the thousands of sentences in this book without ever running out of things to say and contemplate. I’ll admit it: there were points when I had to take breaks, just because the material can be so mentally overwhelming if you really let yourself get into it. Reading McCarthy is refreshing. He pulls apart every bit of grammar you’ve ever learned, destroying it with torrents of run-on sentences and lack of punctuation (namely quotation marks — indeed, sometimes it’s difficult to keep track of who’s talking). Yet he does this in a manner so eloquent and powerful that you can’t get enough of it. As fair warning to potential readers: it’s easy to get lost in this book mentally. This is one of those books where it is, in my opinion, best to discuss the story as you read it — to truly make sense of the details and understand on a deeper level what is going on. Especially with a novel like this, when the language can sometimes be very detailed and confusing at first glance, it is a good idea to take your time reading it so that you don’t miss out on anything. That said, this is a stunning work. The prose is breathtaking and the language is beautiful. Take the time to read it, to enjoy it, and you will not be disappointed. Eclectic set up interests that you have here!!! Interesting way of reviewing a book! I’m also guessing if this book has been made into a movie, or was it?? ?